TRANSAX QB is a module that works with QuickBooks to allow easy credit card processing and ACH (e-check) processing within QuickBooks. Users have the ability to apply payments to invoices or create sales receipts. Data is drawn from QuickBooks to eliminate double data entry. Changes made within the payment processing forms can be written back into QuickBooks. 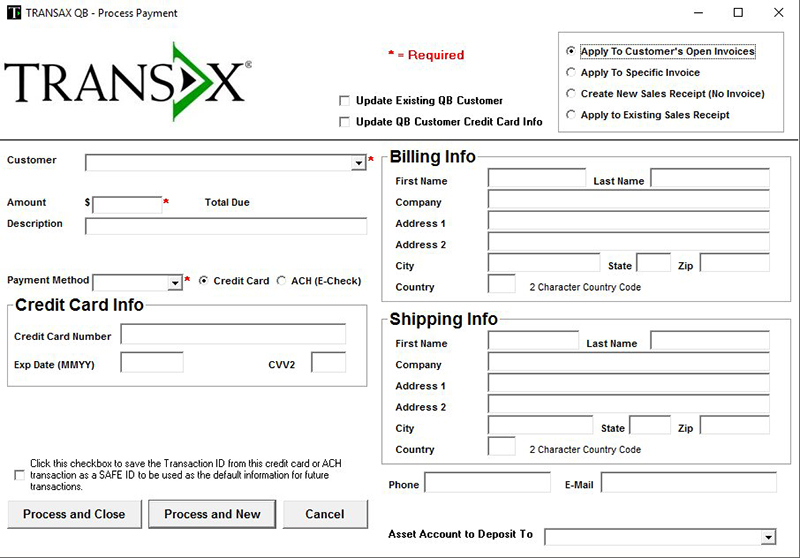 TRANSAX QB works with TRANSAX Gateway to process credit card and ACH transactions. TRANSAX QB uses the powerful TRANSAX Safe to allow users to easily rebill past clients who have run prior transactions with credit card or ACH without storing payment data locally. This reduces PCI exposure. TRANSAX QB supports check scanning for Remote Deposit Capture (RDC), Check Conversion, Check 21. TRANSAX QB allows transactions to be processed in a batch, so many transactions can be run with a single click. Unattended mode allows you to schedule your transaction batch to occur off hours, on the weekends, or whenever you desire! The TRANSAX Sync option is a powerful gateway sync component that allows you to sync your QuickBooks file with transactions processed through the gateway. Accept credit card and ACH (e-check) transactions from your website, database, iPhone, etc - then click a button in QuickBooks to update your file! 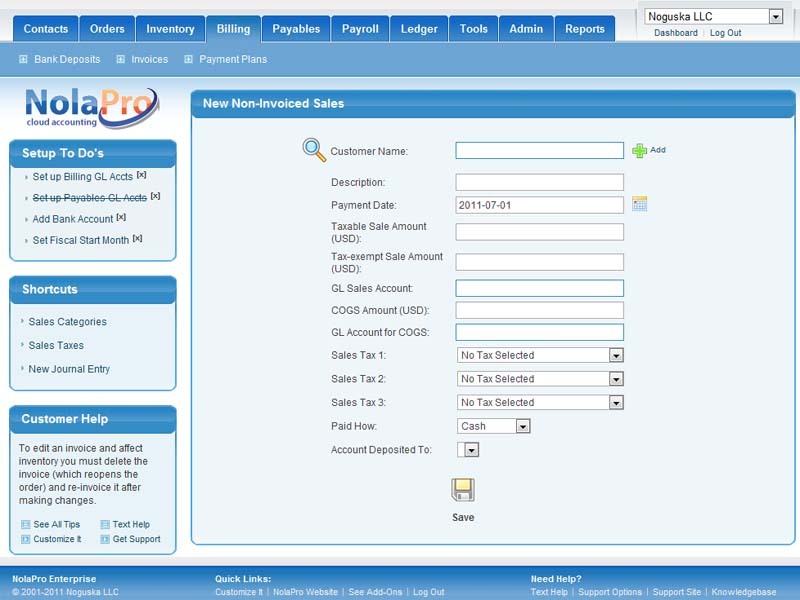 The latest addition is our Accounts Payable / Bill Pay module. Pay vendors with ACH / E-check. Pay hundreds or thousands of bills with the click of one button! Now supports Jobs! TRANSAX provides powerful tools and revenue opportunities for QuickBooks integrators, developers, consultants and accountants. To learn more, contact us today. Additionally, we can customize the module to suit your unique needs!